If you are running a SAP Solution Manager 7.1 system, here is some important information about the SAP Maintenance Strategy for SAP Solution Manager 7.1. Please refer to SAP Maintenance Strategy page on SAP Support Portal for a full overview of SAP Maintenance Strategy for all SAP products. There are also some additional links in the last section of this post, Additional Sources of Information about SAP Software Maintenance. What is the SAP Maintenance Strategy? SAP Maintenance Strategy is intended to provide information about maintenance duration and conditions for SAP software releases. 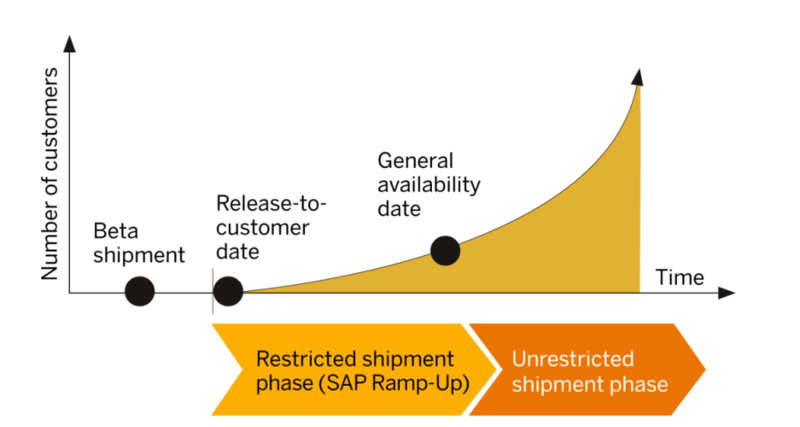 *** Typically SAP software releases are introduced to customers in two shipment phases: Restricted shipment and Unrestricted shipment. In some cases, SAP may offer a Beta shipment prior to Restricted shipment phase for testing purposes only. The Restricted shipment phase and the Mainstream Maintenance begin with the Release-to-Customer date. As of that date, the new software releases and SAP support become available to customers participating in the SAP Early Adopter Program (formerly known as Ramp-Up). Upon successful completion of the Early Adopter Program, the Unrestricted shipment phase begins with the General Availability date. As of that date, software releases and Mainstream Maintenance are available to all customer. 2. Extended Maintenance – after the end of mainstream maintenance, SAP may offer extended maintenance for certain software releases. It requires a separate contract in addition to the existing support agreement. The scope of support is typically the same as during the mainstream maintenance. Please note: Currently SAP does not offer extended maintenance for any SAP software release. For more information about the scope of customer-specific maintenance, see SAP Note 52505 (Support after end of mainstream/extended maintenance). 4. Priority-One Support – after the end of mainstream maintenance, SAP may offer priority-one support for certain releases of SAP BusinessObjects solutions that are not based on the SAP NetWeaver platform. The switch to priority-one support happens at the renewal period. It doesn’t require a separate contract. The scope of the support is limited to resolving priority one incidents only. For more information about the scope of priority-one support, see SAP Maintenance Phases page on the SAP Support Portal Page. When does Mainstream Maintenance end for SAP SolMan 7.1? The Mainstream Maintenance for SAP Solution Manager 7.1 ends by December 31, 2017. What happens if Customers do not upgrade by end of 2017? If customers do not upgrade to SAP Solution Manager 7.2 by end of 2017, the Mainstream Maintenance for SAP Solution Manager 7.1 will automatically be switched to Customer-Specific Maintenance. Restricted support will still be provided by SAP for SAP Solution Manager 7.1 after 2017 to allow customers to run 7.1 release until the upgrade time. SAP recommends transitioning to SAP Solution Manager 7.2 as soon as possible!